In 1894, five men and two women with leprosy were transported by barge to an abandoned sugar plantation, known only as Indian Camp. This site had originally been the hunting and fishing grounds of the local Native Americans. It is on a bend of the Mississippi River between Baton Rouge and New Orleans. In 1825, Robert Coleman Camp had purchased the land and built a plantation house designed by the well-known Louisiana architect Henry Howard. The physicians Joseph Jones and Isadore Dyer had focussed attention on leprosy in Louisiana, and Dyer was particularly influential in setting up a Control Board for the Louisiana Leper Home as “a place of refuge, not reproach; a place of treatment and research, not detention” and establishing the Daughters of Charity as nurses. The State of Louisiana took over the care of the patients until John Early brought the disease to national attention in 1916, when he testified to the US Congress about the need for a national leprosy hospital. As a result, February 3, 1917, a Senate Bill number 4086, for a National Leprosarium in Carville, Louisiana, was initiated by William M. Danner, from the American Leprosy Missions, Rupert Blue, MD, Surgeon General of the United States Public Health Service and Senator Joseph E. Ransdell, Chairman of the Senate Committee on Health and National Quarantine. Subsequently, in 1920, the leprosarium became the responsibility of the United States Federal Government and the United States Public Health Service (USPHS) took operational control, renaming it the United States Marine Hospital Number 66, the National Leprosarium of the United States. The Daughters of Charity continued to running the nursing service, as Federal employees. Ten years later, in 1931, a patient known as ‘Stanley Stein’ (like many Carville patients, he used an alias) began the first issue of the ‘Sixty-Six Star’. This would become an influential publication impacting on the well-being of people suffering from leprosy all over the world. He also wrote Alone No Longer. 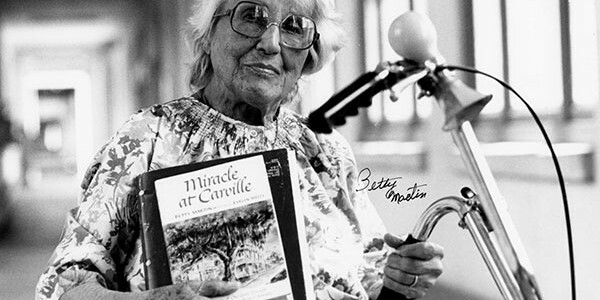 Another patient, Betty Martin, wrote her widely read autobiography, Miracle at Carville, in 1950. 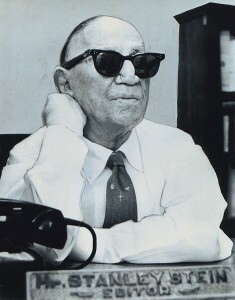 Guy Henry Faget, the director of the National Leprosarium, began to use sulfone drug therapy in the 1940s. He demonstrated their efficacy, and today, these drugs are part of the multi-drug therapy recommended by the World Health Organization (WHO) as effective treatment for Hansen’s Disease. Paul W. Brand began a rehabilitation research program in the 60s. Robert C. Hastings defined the role of thalidomide in leprosy and became the editor of the International Journal of Leprosy. Robert R. Jacobson pioneered work on drug resistance. W.F. 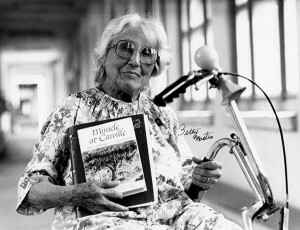 Kirchheimer developed the armadillo model as a tool for the development of systemic disease similar to human HD. From here eleven Community Health Programs were established in Boston, Chicago, Los Angeles, Miami, New York, Puerto Rico, San Diego, San Francisco, Seattle, Texas and Hawaii. In 1982, the newly established Health Resources and Services Administration assumed federal responsibility for managing and operating Carville. In 1986, it was renamed the Gillis W. Long Hansen’s Disease Center. The Center’s Laboratory Research Branch moved to the Louisiana State University (LSU) School of Veterinary Medicine in Baton Rouge in 1992. In recognition of the extraordinary history of the leprosarium, in 1992, the Carville Historic District was placed on the National Register of Historic Places by the National Park Service and a National Hansen’s Disease Museum was founded in 1996. Two years later, the United States Congress passed a bill to relocate the Gillis W. Long Hansen’s Disease Center to Baton Rouge, Louisiana.